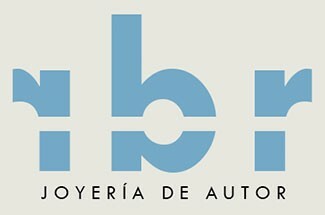 Lula There are 25 products. 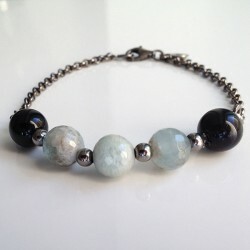 Labradorite stone center and aquamarine bracelet with sterling silver detail. Chain and and sterling silver T-bar clasp. 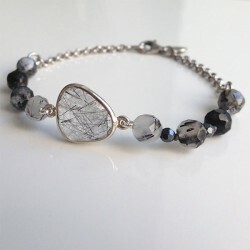 Turmalina bracelet with quartz center and hematite (bead size) and rutilated quartz ball. Finished with chain and carabiner silver rhodium law. 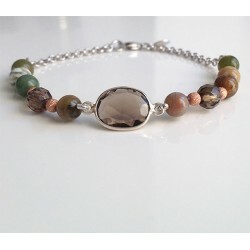 Smoky quartz stone center and agate bracelet with sterling silver detail. Chain and and sterling silver T-bar clasp. 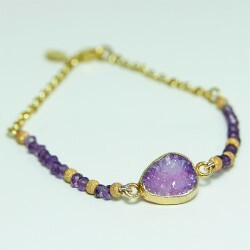 Agate stone center and iolite bracelet with sterling silver detail. Chain and and sterling silver T-bar clasp gold plated. 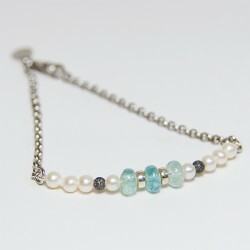 Aquamarine and pearl bracelet with sterling silver detail. Chain and and sterling silver T-bar clasp. Aquamarine and onix bracelet with sterling silver detail. Chain and and sterling silver T-bar clasp black rhodium. Bracelet moonstone center and tourmalinated spherical quartz motif in sterling silver rhodium in black. 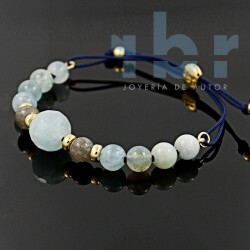 Bracelet with agate and spherical center labradorite motif in sterling silver plated yellow gold. Finished with cotton yarn sliding closure RBR sterling silver-plated yellow gold. Bracelet moonstone center, freshwater pearl and labradorite spherical motif in sterling silver plated yellow gold. Finished with cotton thread RBR sliding closure in sterling silver bathed in gold. 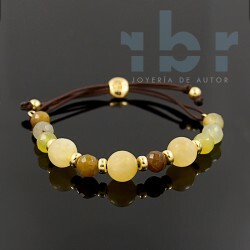 Spherical yellow jade bracelet with yellow opal faceted motif in sterling silver plated yellow gold. Finished with cotton yarn sliding closure RBR sterling silver-plated yellow gold. 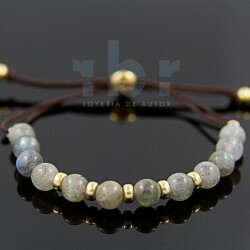 Labradorite spherical motif bracelet in sterling silver plated yellow gold. Finished with cotton yarn sliding closure RBR sterling silver-plated yellow gold. 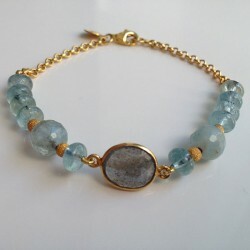 Labradorite bracelet with spherical and spherical faceted aquamarine, sterling silver motifs in yellow gold plated. Finished with cotton thread RBR sliding closure in sterling silver bathed in gold.